make country less vulnerable to power outages. Pakistan government. Currently, the region is heavily dependent on hydroelectric plants.
. 'We are even looking beyond 50MW." to close this gap and supply safe, clean, affordable energy." agriculture will also benefit by using it to run water pumps to water fields and crops. Pakistan's climatic conditions are ideal. 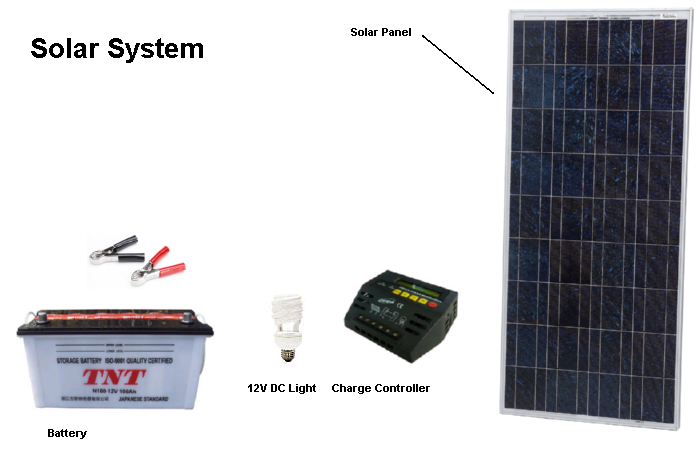 How Solar power project work ? In solar system the things you need is depend on what you want to do. If you want to turn on just lights, bulbs or lamps. You need these components So. up by a battery. In this case it is DC lights. it to work. First what you have to do is take a closer look at charge controller. 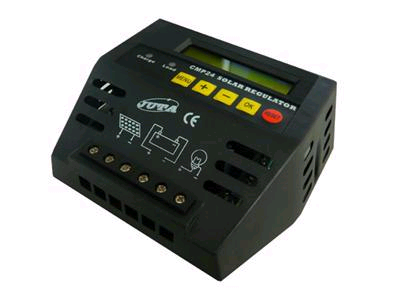 Charge ControllerWe can easily see on charge controller that it have been marked with solar panel, battery and lights. 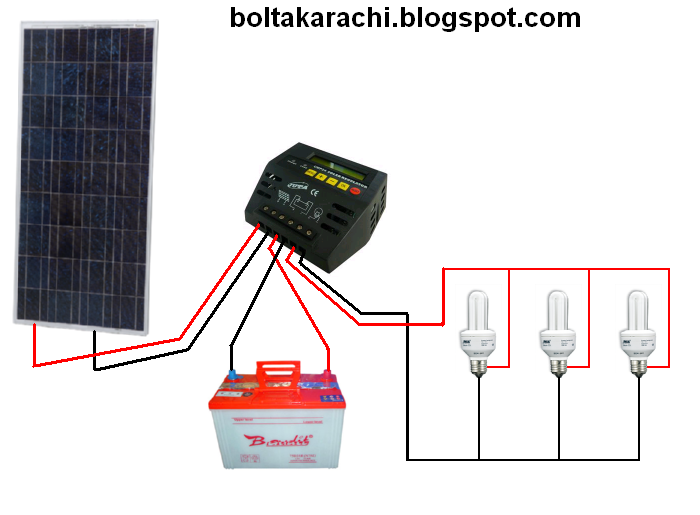 Now the thing is to connect correct wires of solar panel with battery and lights.